We're proud to host this event here in Sedalia, MO. 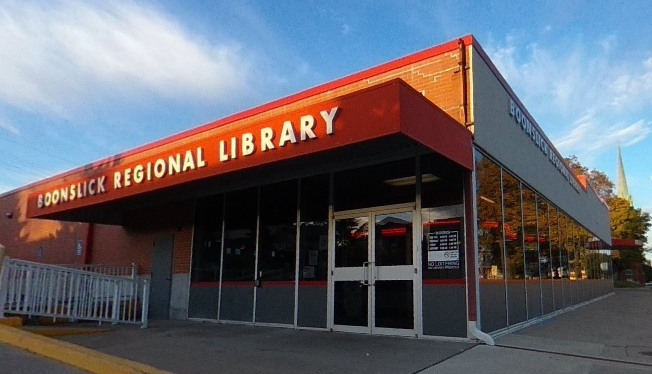 Boonslick Regional Library provides public library services to the citizens of three counties: Benton County, Cooper County and Pettis County (excluding the City of Sedalia). 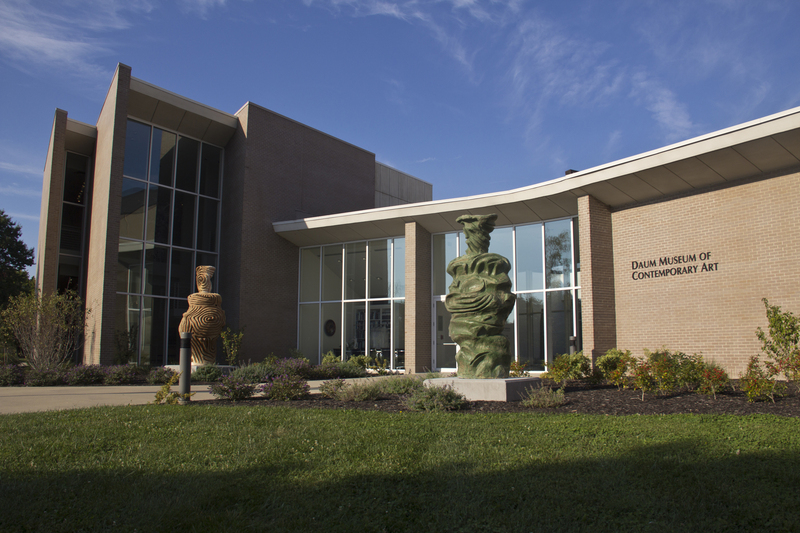 The Pettis County facility, located in Sedalia, is the largest library and serves as the administrative headquarters for the library system. The administrative headquarters includes the following services: bookmobile, reference and interlibrary loan, technical processing and computer/network services for the library district. Other libraries in the system are the Benton County libraries located in Cole Camp and Warsaw; and the Cooper County library located in Boonville. The Boonslick Regional Library Bookmobile provides a vital outreach service to residents residing in rural areas of each county in the library district. An architectural treasure built strategically into a bluff over a period of 30 years. Tours provide a glimpse into the life of one of Sedalia's greatest benefactor John Homer Bothwell. The area offers great opportunities for picnicking, hiking, and mountain biking. Elegant facades grace the streets and avenues of the Downtown Historic District which offers art, culture, unique shopping, and dining. 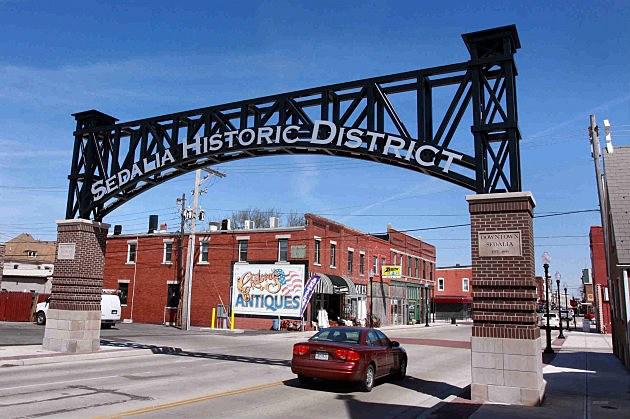 In 2006 Sedalia was selected as a Missouri DREAM community, a program that will assist in the redevelopment and revitalization efforts of Sedalia's Historic Downtown area. Art in Sedalia has stood the test of time. Explore timeless public art in Sedalia, Missouri through the eyes of Jackie Tucker in this article. In addition to the thrill of the annual 11-day Missouri State Fair held in August, the 396 acres of the Missouri State Fairgrounds Historic District hosts dozens of facilities and events such as livestock shows, camping rallies, sporting events, and auto racing throughout the year. HARVEST THE FUN Make plans now to attend the 2018 Missouri State Fair August 9-19, 2018. Take a fascinating trip back into the history of clothing and fashion at Nostalgia Vintage Apparel. Presentations by clothing collector and fashion aficionado Carolyn Miller are delightfully entertaining, educational, and unforgettable. They offer vintage clothes, jewelry, antiques, and fun finds, old and new! Built in 1924, the Courthouse proudly displays the Circuit Courthouse Murals by St. Louis muralist, Barbara Manes Campbell, depicting Pettis County's history including George Whiteman, the Missouri State Fair, Scott Joplin, the railroad, and other items of historical significance. 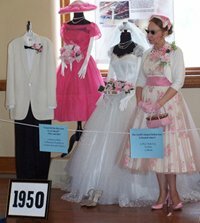 Founded by the Pettis County Historical Society to preserve the rich and vast history of Pettis County, the Museum opened to the public in 2006 as a place to display historic items. Programs and fund-raisers are held throughout the year. Built in 1896 to as a fully functional railroad station, today the Katy Depot serves as Sedalia's official welcome center and is currently occupied by the Sedalia Area Chamber of Commerce, Sedalia Convention and Visitors Bureau, the railroad heritage exhibits, The Depot Store, and serves as a Trailhead to the Katy Trail State Park. Champion Bicycles is located in the Katy Depot in Sedalia, Missouri on the Katy Trail. The bicycle shop offers rentals, repair and service on all makes and brands, a full line of parts and accessories. Also, drinks and snacks are available. Katy Trail State Park. New bicycles for purchase include Fuji, Schwinn, and GT. You will also find bikes here from the 1960s up to the 2000s such as mountain, hybrid, road, touring and cruiser rides. Brands such as Raleigh, Trek, Specialized, Diamondback, and Schwinn are featured. All repairs are a key element to the business since the Katy Trail is ten feet from the door. Quick turnaround on flat tires and adjustments get our customers back on the road. Stop in and meet Steve Champion. Check out our website at: http://www.championbicyclesedalia.com/. The first library to receive an Andrew Carnegie Grant in the state of Missouri, the structure was dedicated in 1901. Boasting marble floors, open fireplaces, white oak woodwork, it is made of terra cotta and Carthage stone.